Finding trustworthy movers in Riverside can be stressful. While setting up a new home can be fun, there is always dread associated with packing and moving. Let us help with the not-so-fun parts of moving. We can help Riverside customers with short or long distance moving, packing, and provide all packing supplies. No stress, no frustration, no problem. Even if your moving plans come unexpectedly, we are happy to help you with your short-notice move. We are the movers Riverside can trust! The minimum a company can offer is to get all your personal items from one place to another in one piece and on time. We go a step further. We are happy to assist you in carefully packing all your items and getting them to your new location quickly and efficiently. We have over 30 movers in Riverside who are dedicated to exceptional customer service. 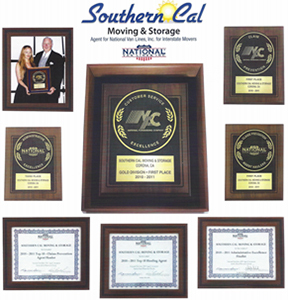 It is no wonder people refer their friends and family to Southern Cal Moving & Storage when they need to relocate. Riverside is located approximately 60 miles (97 km) east of Los Angeles and is part of the Greater Los Angeles area. Riverside was founded in the early 1870s and is distinguished as the birthplace of the California citrus industry. Riverside is also known for the famous Mission Inn, the largest Mission Revival Style building in the United States. Riverside has many attractions, botanical gardens, shopping, and restaurants for residents to enjoy. There are countless opportunities in the great city of Riverside! 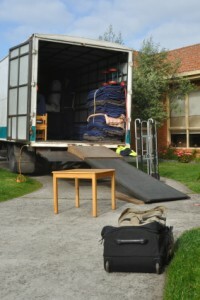 If you are moving in Riverside and need a company you can trust, contact Southern Cal Moving & Storage at 951-520-8800.